Using the Chandra High Energy Transmission Grating Spectrometer, the MIT group measured many characteristics of the jets, forming the best view of a jet's structure ever obtained. In a previous observation they measured the jet's density. With this information, the team could determine that the jet base was five times closer to the black hole than previously observed, with a base diameter of about 1,280 miles. Also, the MIT group determined that the size of the companion star that blocked the view of the receding jet is about nine times the size of the Sun. From that, they estimated that the black hole is 16 solar masses. 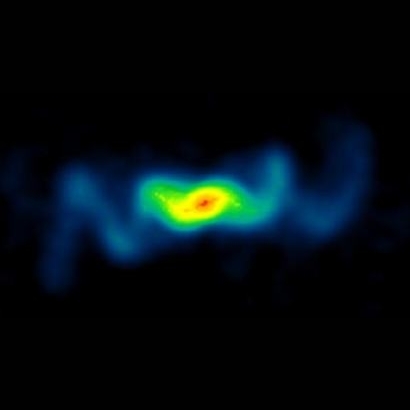 Supermassive black holes with jets, such as quasars, might display similar behavior, but they are so massive and so distant that changes cannot be observed because time scales are too long. Thus SS 433 serves as a laboratory to study the jet phenomenon close to home. As such, further Chandra observations are planned.